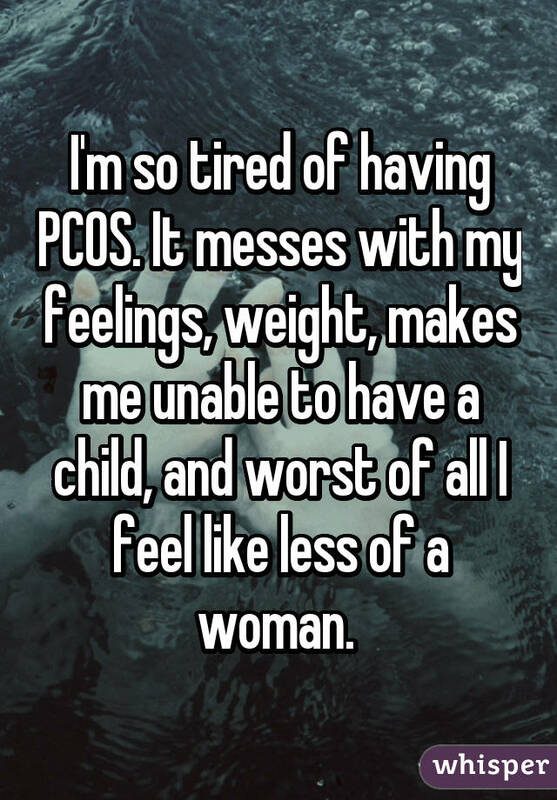 Polycystic ovarian syndrome, or PCOS, is an endocrine system disorder with symptoms including excess body hair, weight gain, irregular periods, and even infertility. 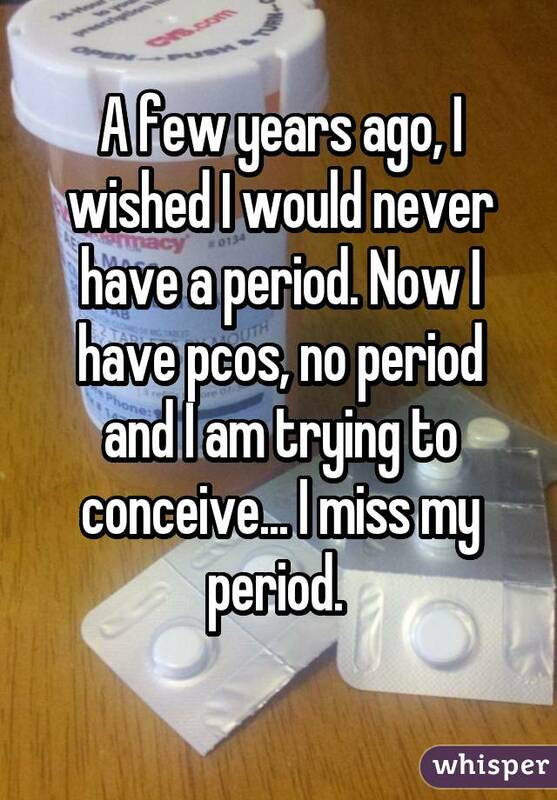 Its exact cause remains unknown, but one thing is certain: This condition touches women's lives in countless ways. 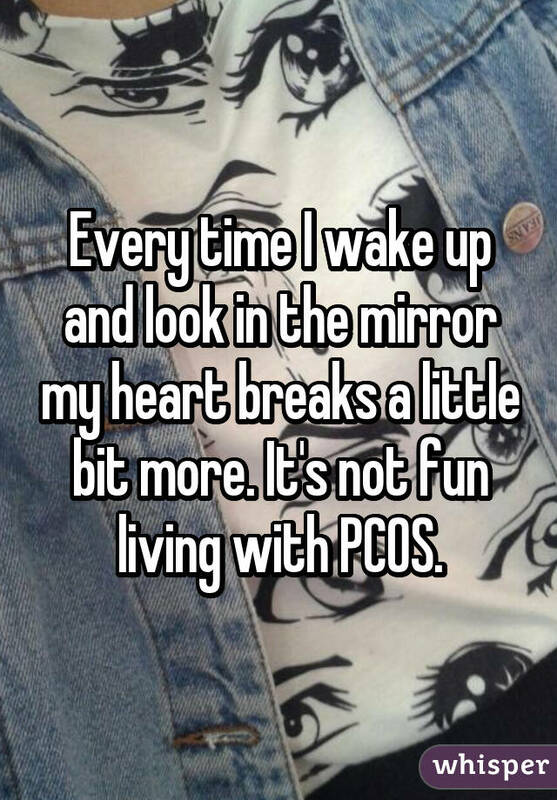 Beyond the physical changes that PCOS causes, the syndrome has also been linked with anxiety, depression, and other mental illnesses. 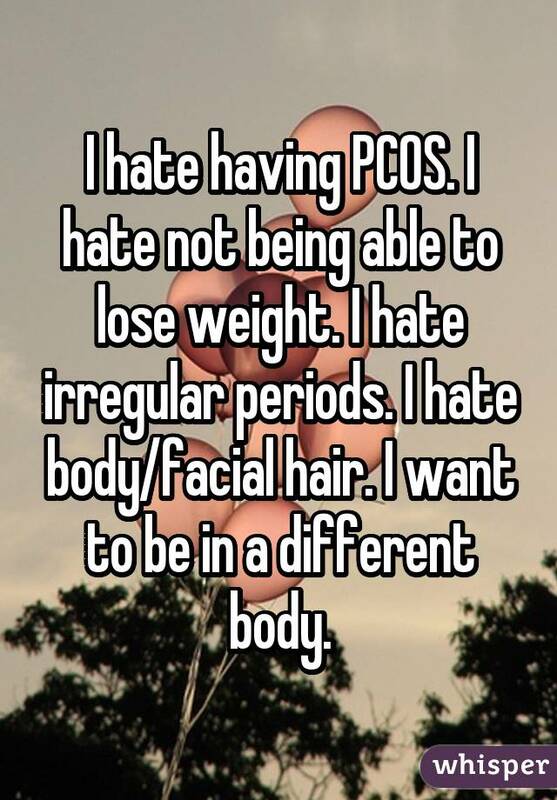 Some women feel endlessly frustrated with their bodies, whether they're suffering through irregular periods or trying to cover up unwanted body hair. 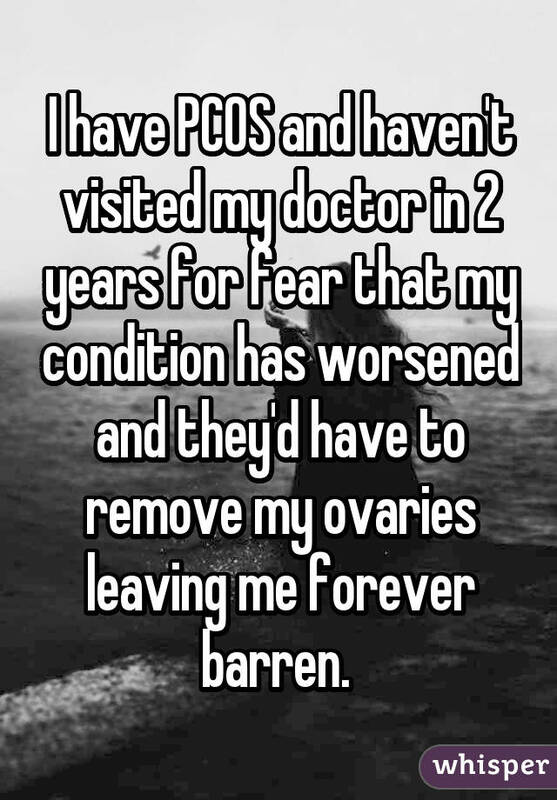 Others dread further changes in their health to the point that they avoid seeing doctors altogether. 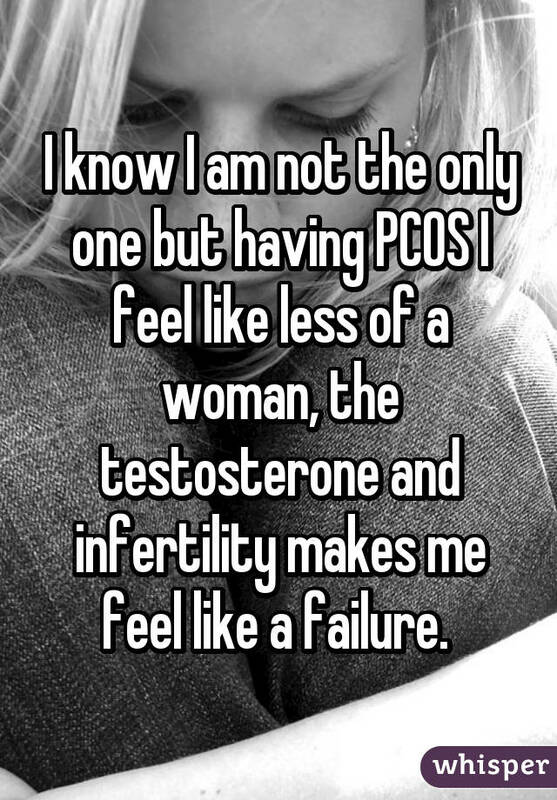 And then there are those who feel only shame — about their appearance, their infertility, or their perceived lack of femininity. 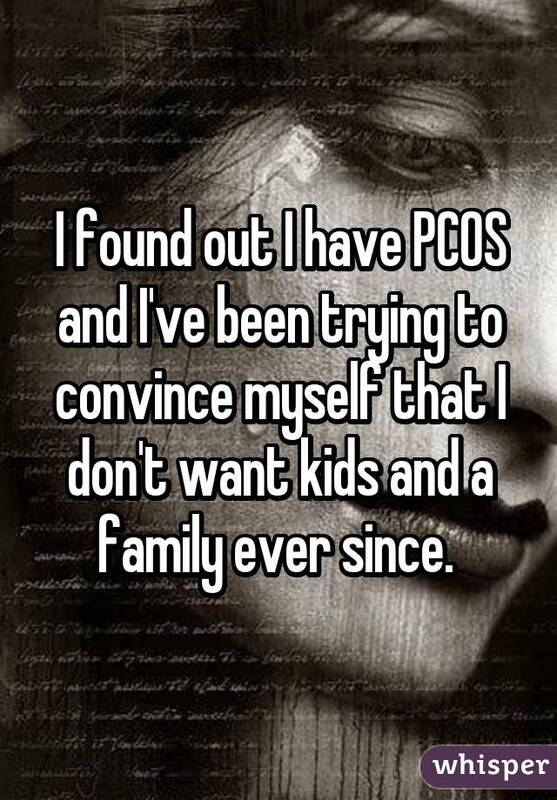 But the thing is, PCOS is not uncommon: It's estimated that between one in 10 and one in 20 women of childbearing age has the disorder. 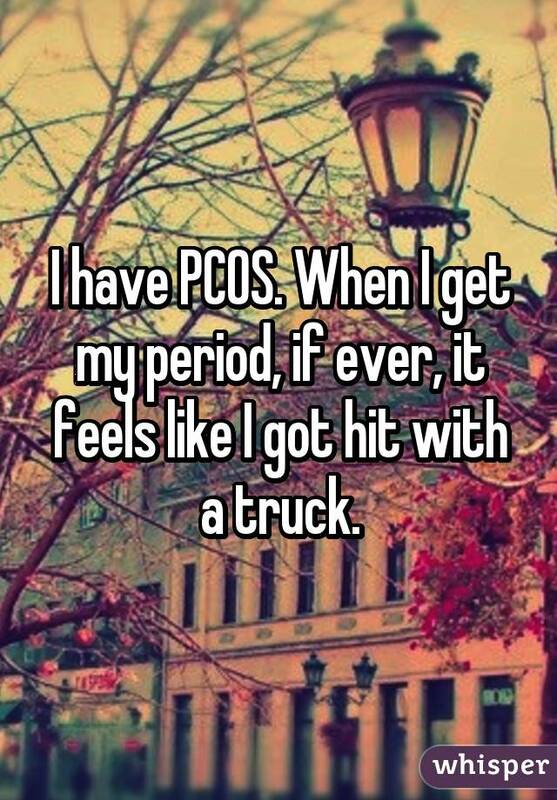 Of course, experiences with PCOS vary wildly — it's a syndrome, after all — but a PCOS diagnosis can leave women feeling isolated and at a loss for what to do. 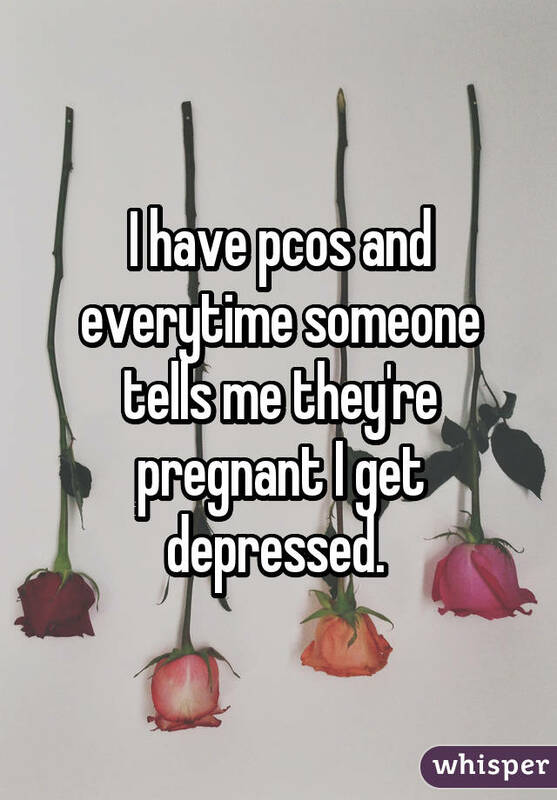 That's why finding support, whether from a loved one or online, can be helpful. 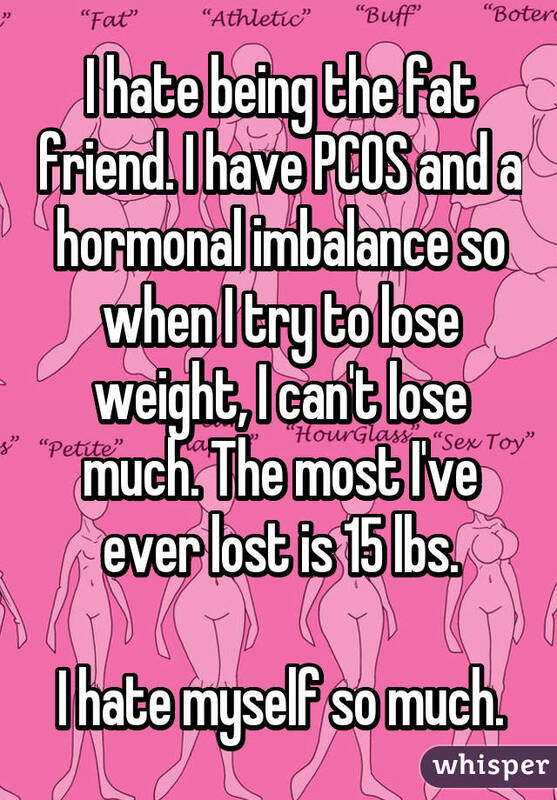 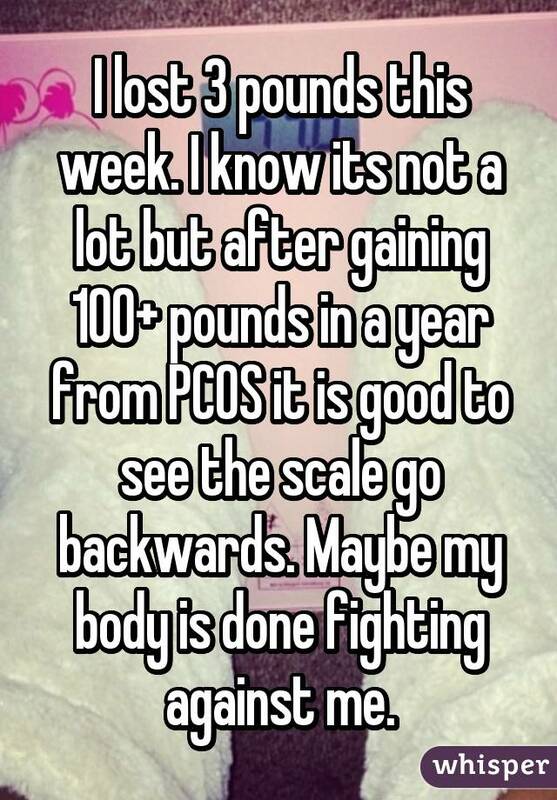 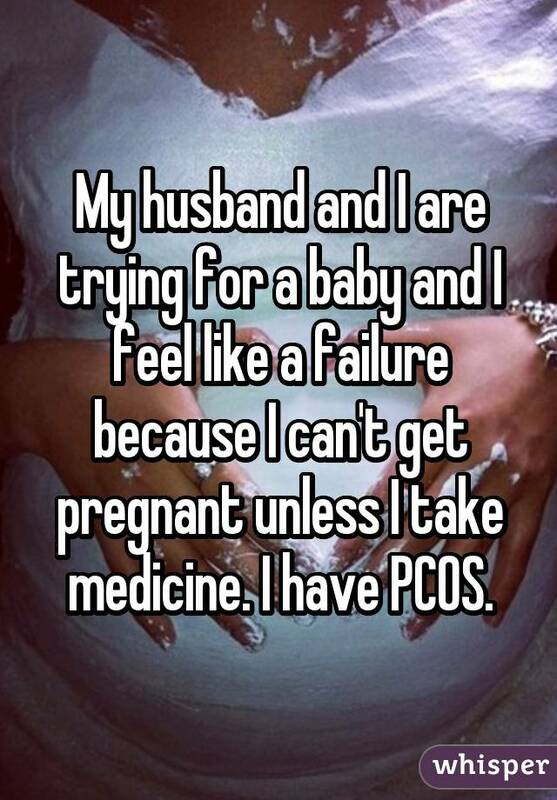 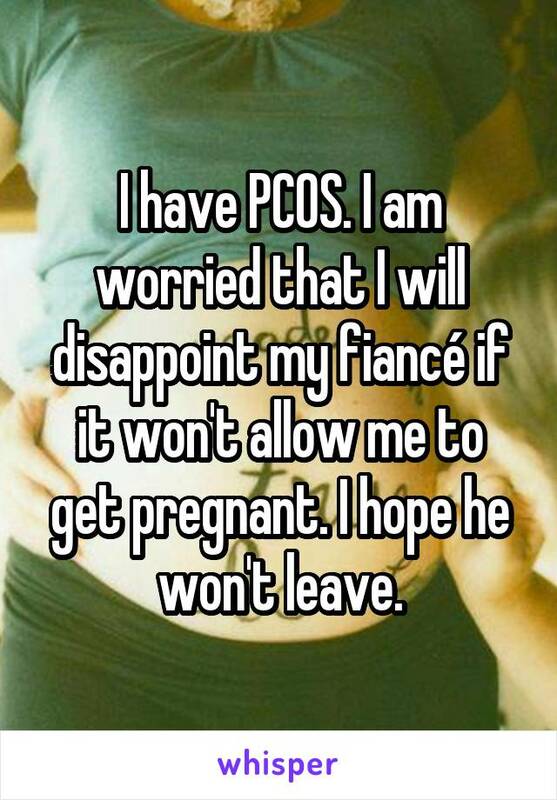 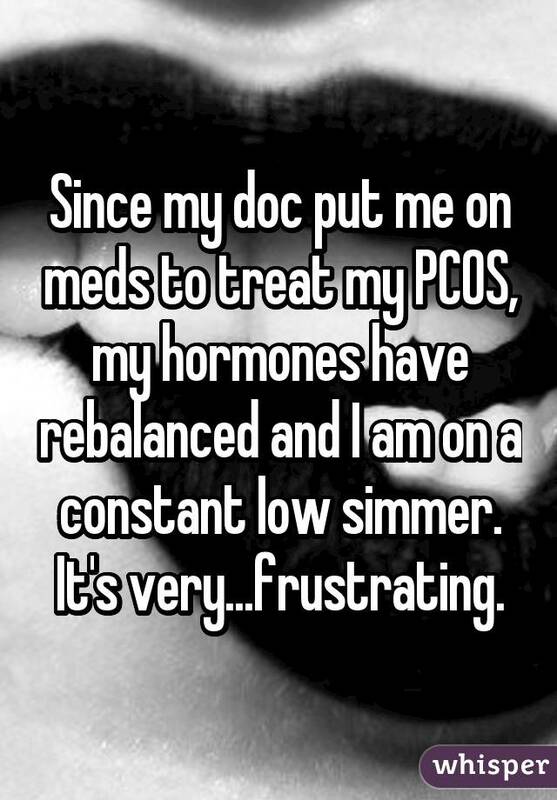 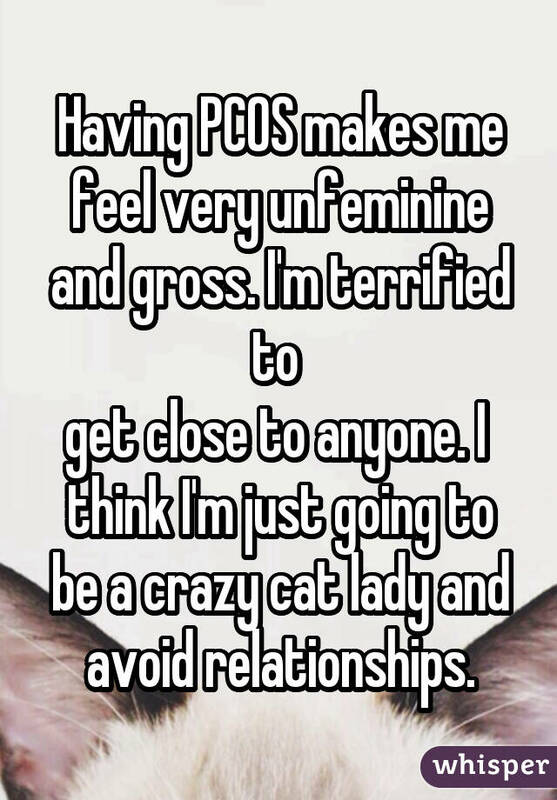 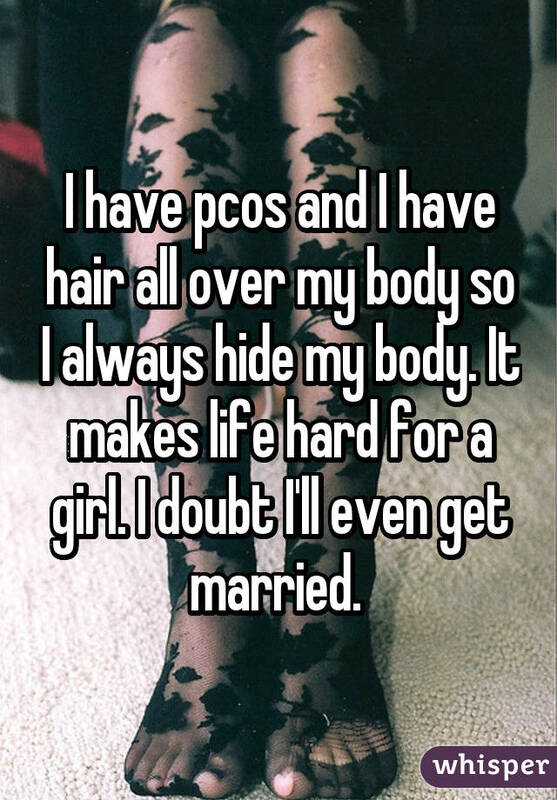 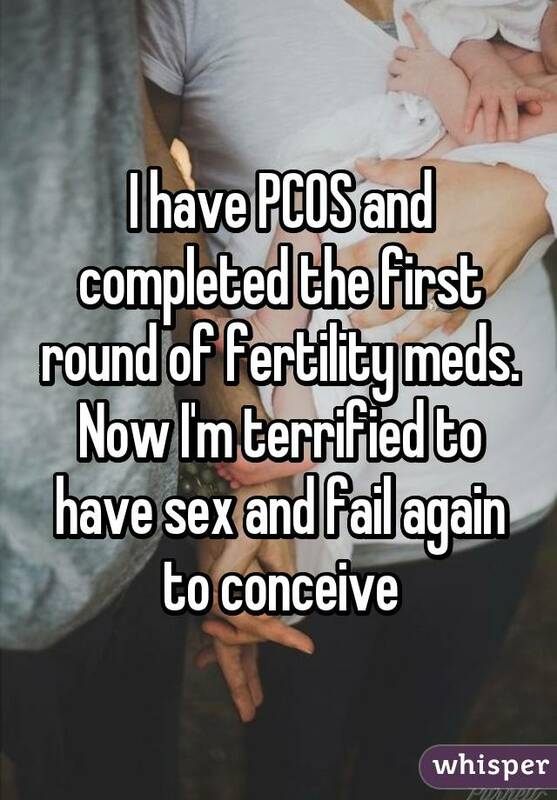 Below, we've rounded up 18 posts from secret-sharing app Whisper by women with PCOS. 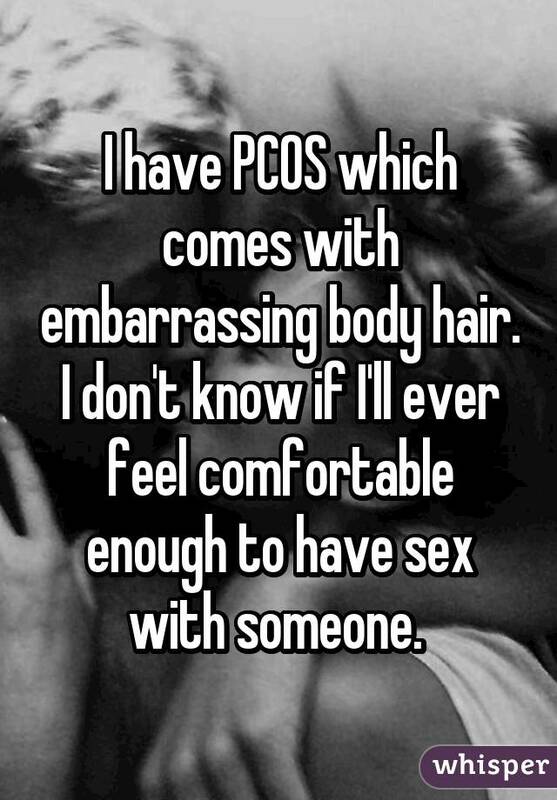 Hopefully, hearing other people's stories can remind women that they're not alone.